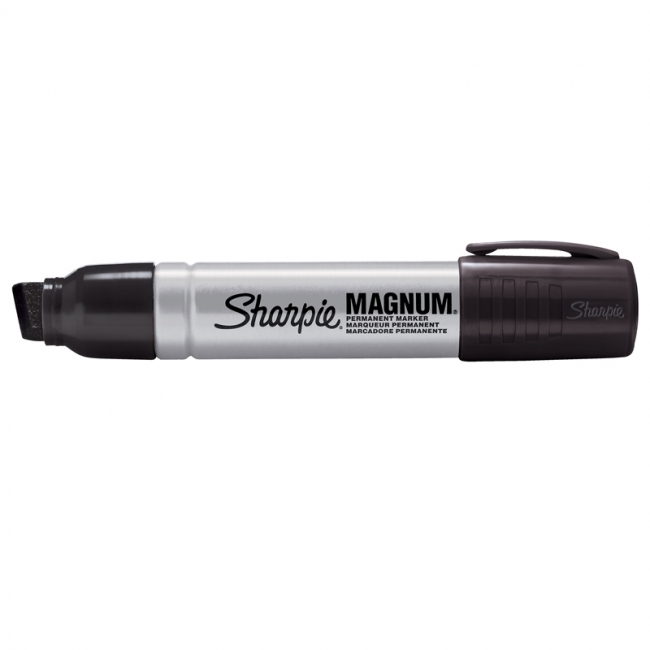 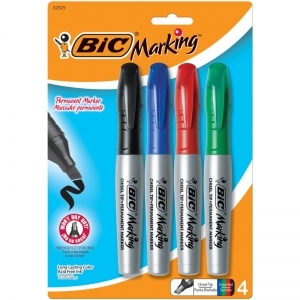 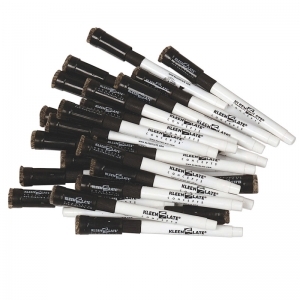 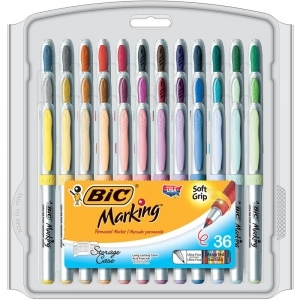 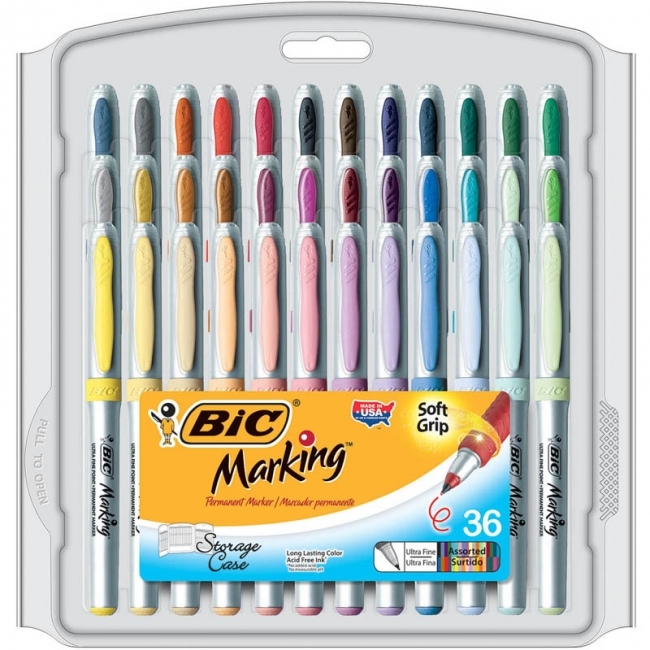 BIC® Marking™ Permanent Marker in Fashion Colors are durable, permanent markers with long-lasting color. 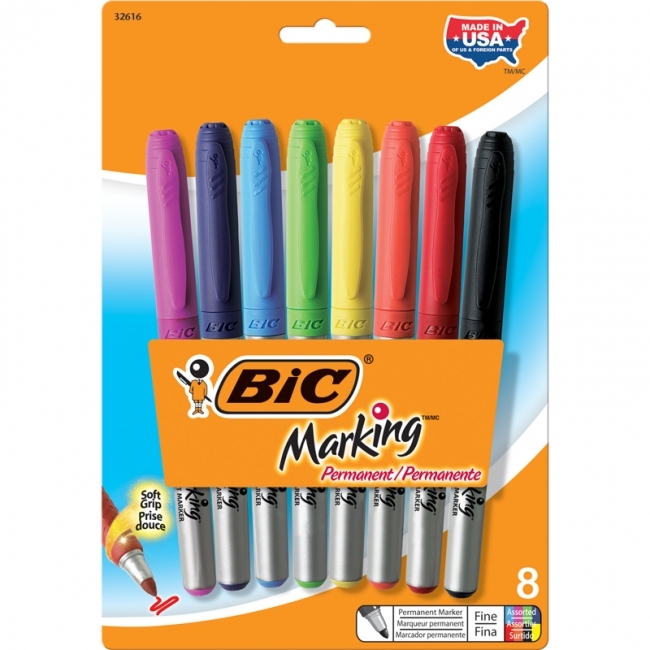 Bright, fun and fashionable, these smooth-flowing Mark-It markers are perfect for small spaces and detailed marking. 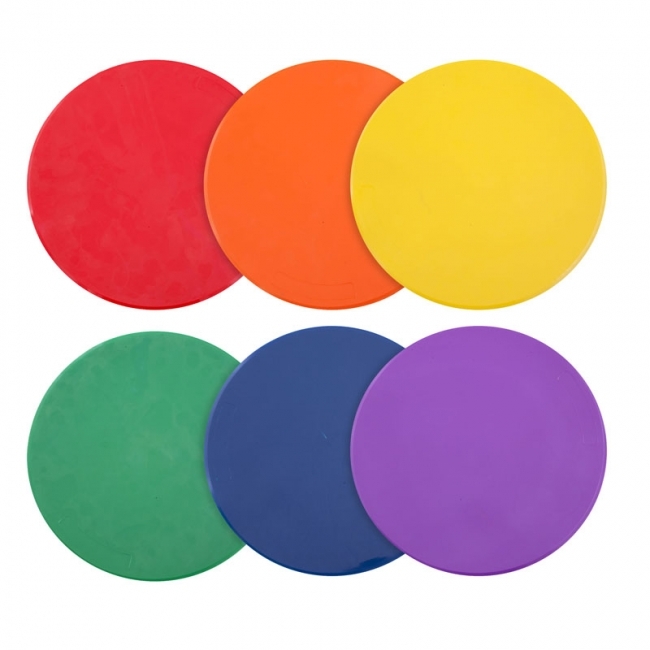 Textured rubber grip for comfort and control. Marks on glass, metal, CDs, coated paper, photos, plastics. 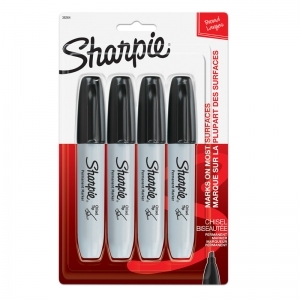 Fade-resistant, vivid acid free ink. Nontoxic. 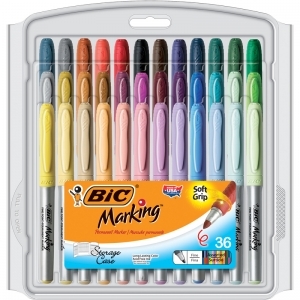 Includes 36 assorted markers. Replace your fluorescent cones with the Champion Sports poly Spot Marker Set to illustrate court positions or drill stations safely and effectively. Made from non-skid vinyl, these brightly colored spot markers are clearly visible but won't get caught in fast-moving legs and feet. 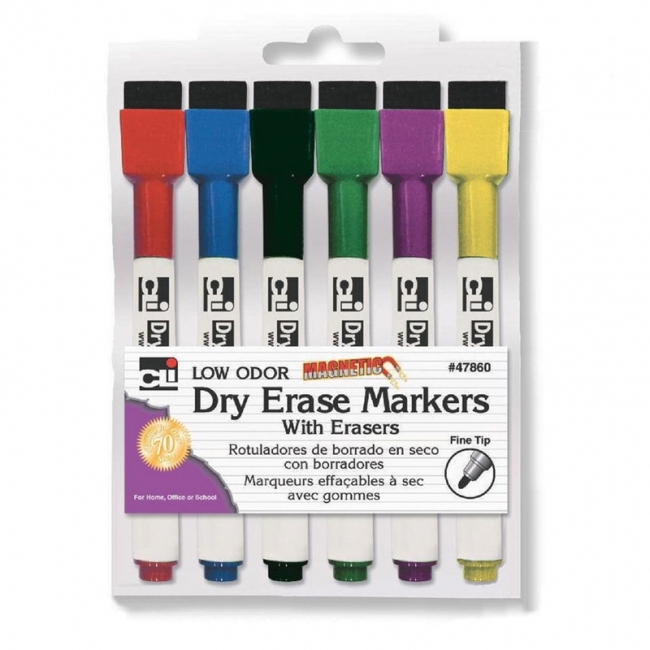 They can be used for a variety of drills and games, and are tear-resistant for long-lasting use. 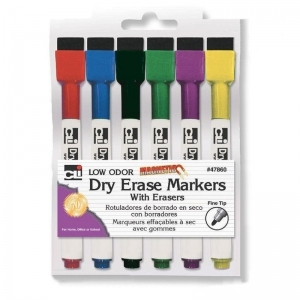 Set of 10 Assorted Color Dry Erase Markers with Eraser Caps and round points that don't push in.Certified Non Toxic/low-odor. 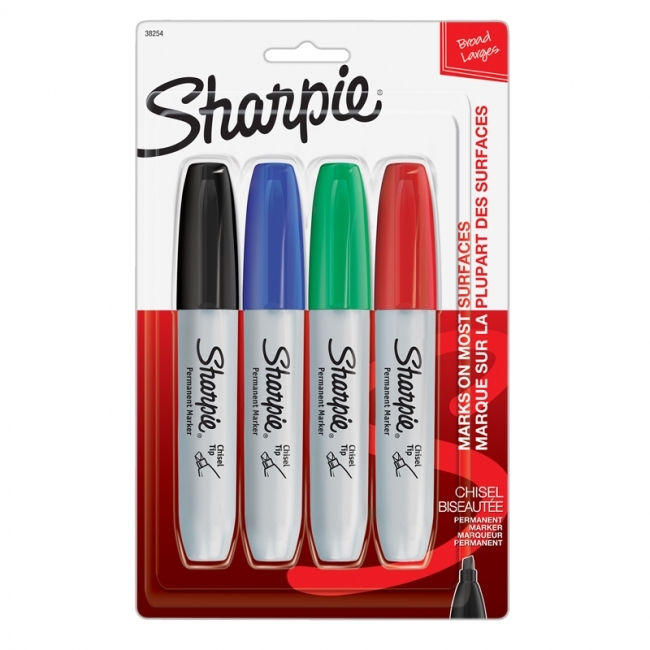 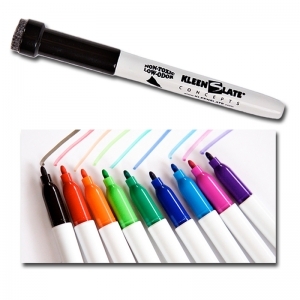 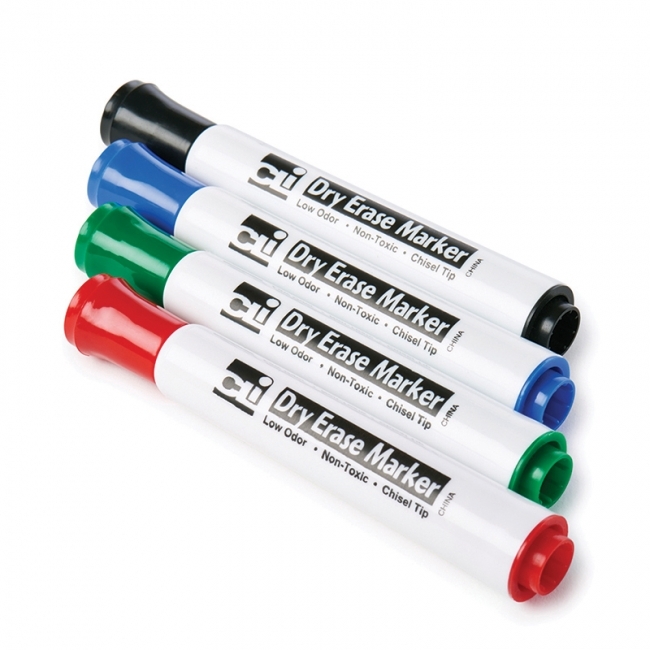 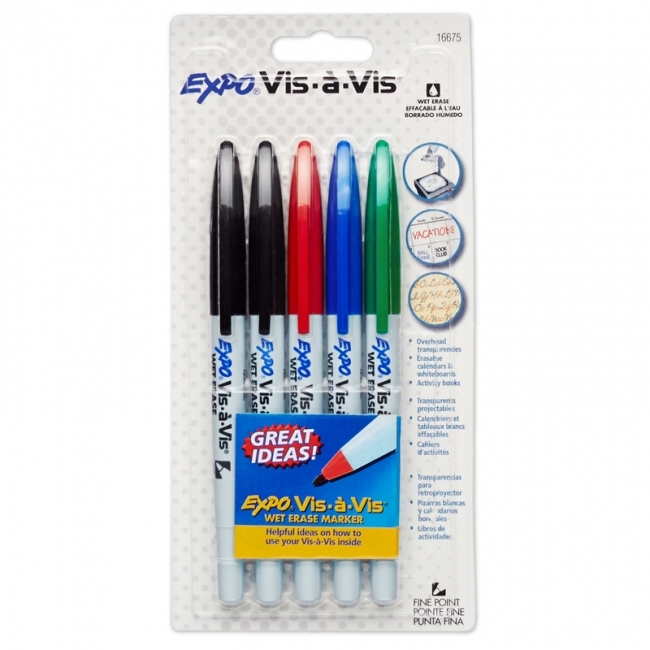 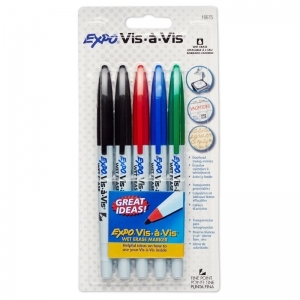 The best dry erase markers for the classroom! 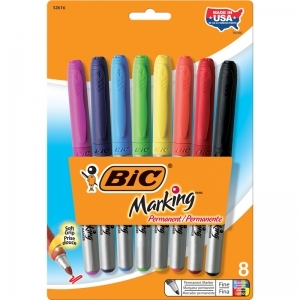 Includes 1 sky blue, 1 dark blue, 1 fuchsia, 1 red, 1 purple, 1 forest green, 1 light green, 2 black and 1 orange marker. 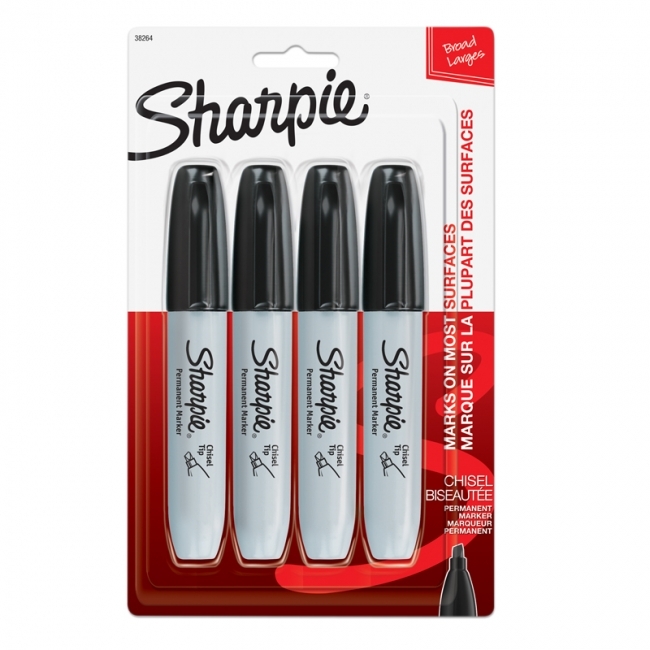 * This uniquely formulated ink remains in place until you are ready to wipe it away. 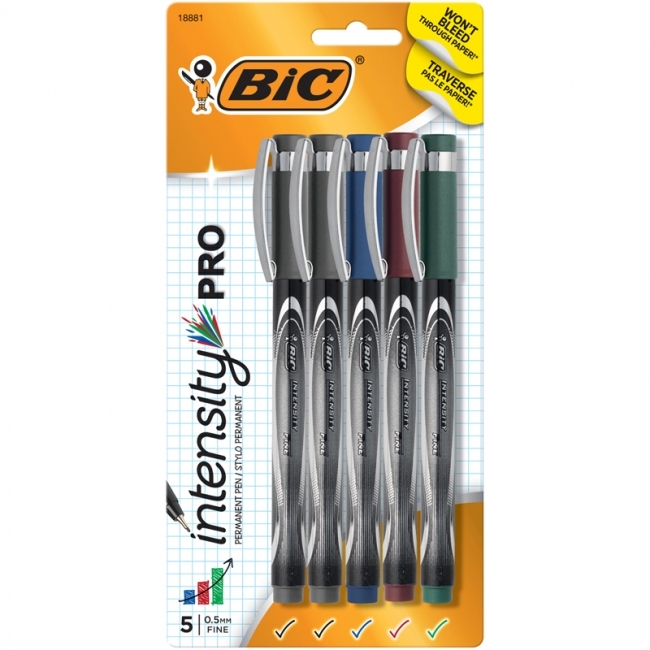 * Ideal for scheduling, charting and tracking. 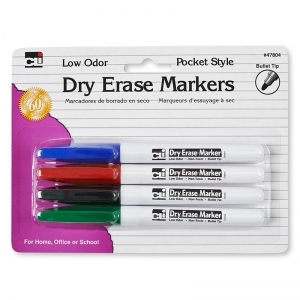 Simply wipes off non-porous surfaces with a damp cloth. * Certified AP Nontoxic ink lets you have more fun, no worries.